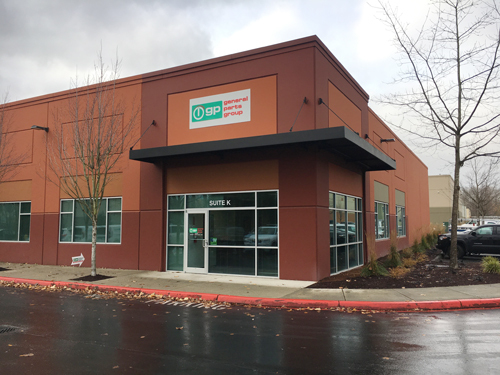 Conveniently located at 810 SW 34th Street, Suite K, Renton WA, General Parts Group of Seattle is your go-to for foodservice equipment and commercial oven repair and maintenance in Seattle, Puget Sound, Olympia, Tacoma, and Everett. Be it for repair, maintenance or installation, you can’t gamble when it comes to your restaurant equipment repairs. Your business is at risk when equipment breaks down. That’s why you can count on the timely, knowledgeable experts at General Parts Group’s service division – GP-ServiceDirect. No matter what needs servicing in your commercial kitchen, from floor to ceiling, our certified technicians can fix it anywhere in the Pacific Northwest. For more information, call us at (425) 434-4082 or email us SeattleDispatch@GP-Servicedirect.com . 24/7/365 Availability & Scheduling – Your foodservice kitchen will not be down for long, even if something breaks on a holiday. Our dependable technicians give you peace of mind all year round. Versatile Repair – Our factory-trained and industry-certified technicians are ready to handle a variety of commercial appliance repair including ware washing, refrigeration units, HVAC, commercial cooking and food preparation equipment. You are a phone call away from solving any food equipment service problem in your operation. Small Commercial Appliance Repair – Our technicians also staff our onsite small commercial appliance repair shop. Drop your equipment off at our office, and we will take care of it from here. Online Account Information – Our online Client Portal has been created to provide account information day or night. When logged in, information such as service histories, open work tickets and more are accessible. Click here to request access. Customized Service Plans – Routine maintenance keeps your kitchen both functional and reliable. It also extends the life of your equipment. We have a knack for developing unique maintenance plans for commercial oven repairs and more, to fit the individual needs of your commercial kitchen. Flexible Installation – Our technicians are qualified to install most brands of commercial kitchen appliances. We offer flexible scheduling to complete your service without interrupting your daily business. We install on your time, not ours. Quality Parts – Our vast selection of O.E.M. parts fit most major commercial appliance brands and is what our technicians utilize for every repair. If you prefer to purchase a part, our Parts Division is happy to help. Shop our inventory at GP-PartsDirect.com, and if you pick up your order at our Seattle location, ground shipping is on us! Labor Warranty – We back our services with a 90-day labor warranty.